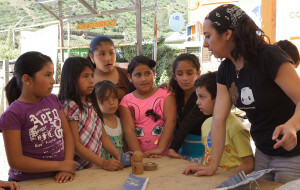 With the goal of improving living conditions and increasing community assets, Alter Terra, A.C. identified leadership candidates throughout the seven micro-basins of the canyon and mobilized the community for the purpose of building social capital. 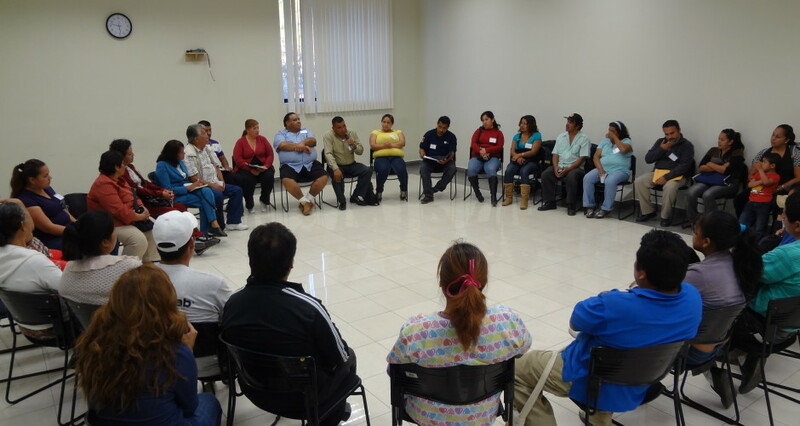 A group of 40 individuals participated in the organizational process, received leadership training and were educated on the different levels of government in Mexico including state, municipal, and federal agencies. A seminar series of workshops was organized in which government officials from different departments and agencies gave presentations on their functions, administration, and jurisdictions, ultimately providing the community leaders with a strong understanding of how government works. The workshops served as platform for communicating how and where to effectively solicit infrastructure projects, urban services, and improvements for their respective neighborhoods. The seminar series was designed to uphold the Plan Parcial de Desarrollo Urbano de la Sub Cuenca de Los Laureles (Partial Urban Improvement Plan) for the Los Laureles Sub-basin, implemented as state law in 2007, wherein several problems were identified by a diagnostic assessment of the physical, ecological, and urban environment, including the lack of residual and fluvial water management infrastructure, the lack of basic urban services, the existence of human settlements located in high-risk areas that are prone to earthquake damage and/or flooding, and legal uncertainty regarding property titles and rights. The Partial Urban Improvement Plan provides the legal backing for many priority actions and projects specific to the seven micro-basins of Los Laureles sub-basin. The urban plan is unique in that it is the first urban plan in Mexico based on the management of water and a hydrological watershed, as the Los Laureles sub-basin is part of a bi-national watershed that drains directly into the Tijuana River Estuarine Research Reserve in Imperial Beach, California. The reserve is home to some of the last remaining wetland and salt marsh habitats on the west coast of the United States, yet these ecologically valuable habitats are being degraded due to accelerated sedimentation processes, contamination, and lack of water management infrastructure upstream in the Los Laureles sub-basin. Workshop participants, as well as, other community members were able to learn the importance of framing their projects on the basis of this legal planning document. One notable accomplishment of the program was the development of a project catalogue comprised of infrastructure and community improvement projects proposed by community leaders during participation in the seminar series (see attachment). The next and possibly most important phase still remains – the project implementation period. Formally soliciting a new infrastructure project or urban service from a government department can be a daunting task for a community leader, or anyone in general, since it requires the ability to write a formal proposal, as well as, the compilation of technical information and design details. Many community leaders have struggled for years to bring infrastructure and service improvements to their communities and, unfortunately, have often times been ignored by their local representatives or have been denied assistance due to lack of proper solicitation. During the program period, Los Laureles community leaders made great strides in learning about the structure and functions of government, as well as, the protocol of soliciting government assistance. Going forward, in the role of community organizer, Alter Terra will provide community leaders with the guidance, support and technical assistance necessary to facilitate implementation of infrastructure projects designed to improve environmental and human health within the Los Laureles Canyon sub-basin.